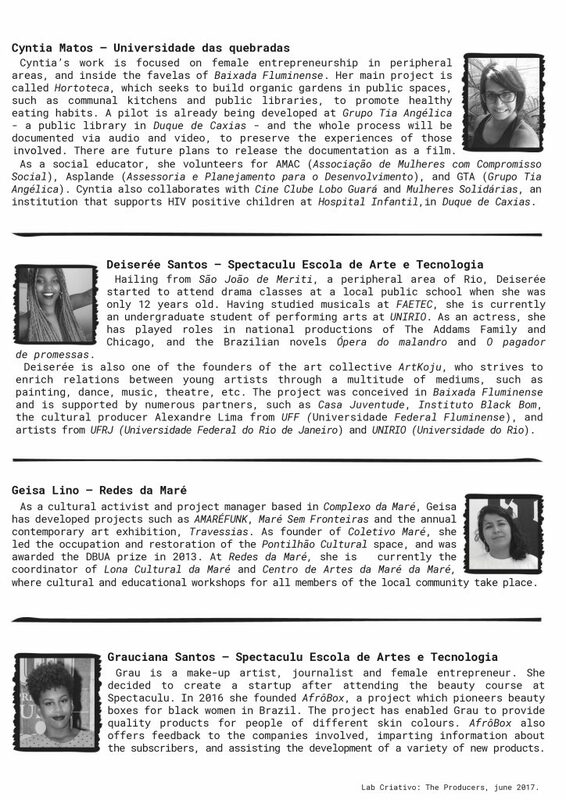 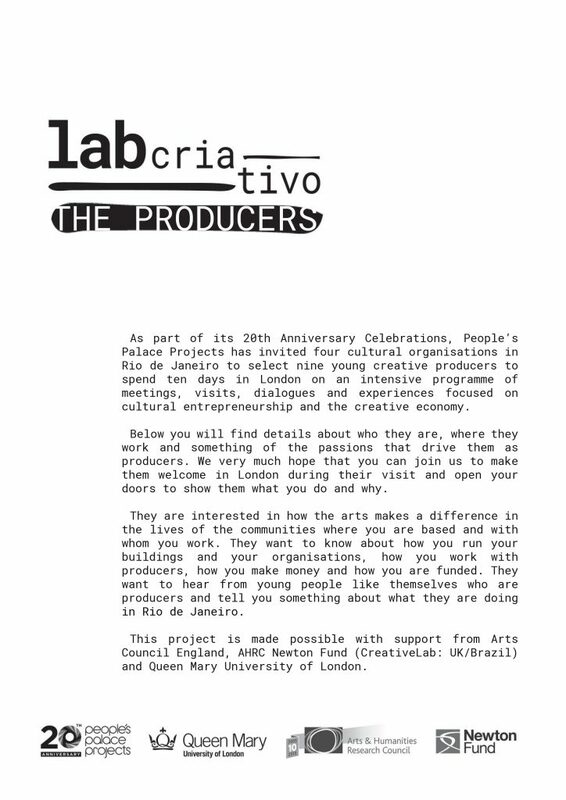 As part of its 20th Anniversary Celebrations, People’s Palace Projects has invited nine young creative producers from four cultural organisations in Rio to spend 10 days in London on an programme of meetings, visits, dialogues and experiences focused on cultural entrepreneurship and the creative economy. 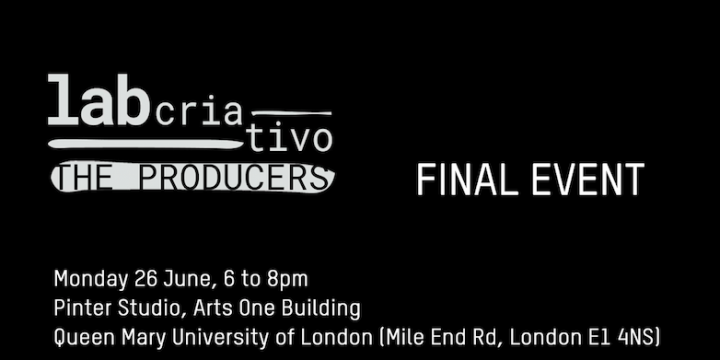 You are invited to the final event of the programme in which the young producers will present the outcomes of their ten-day exchange. 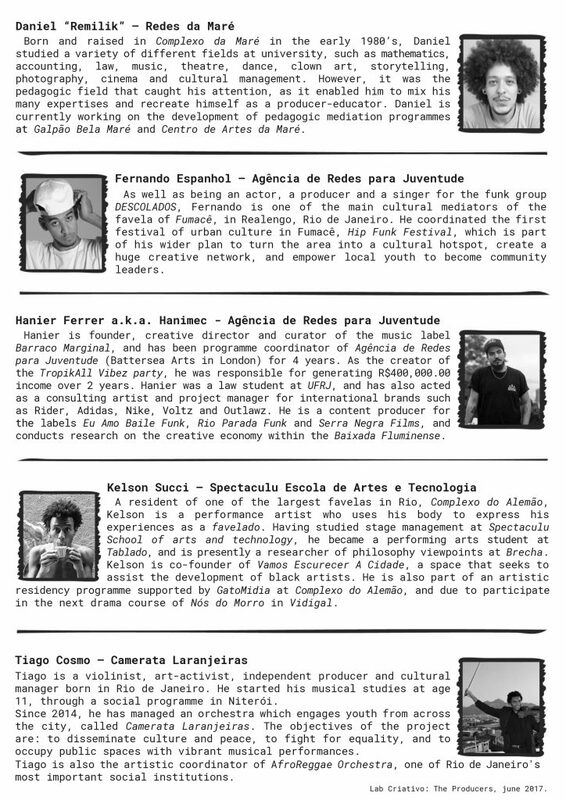 The event will be followed by a drinks reception.